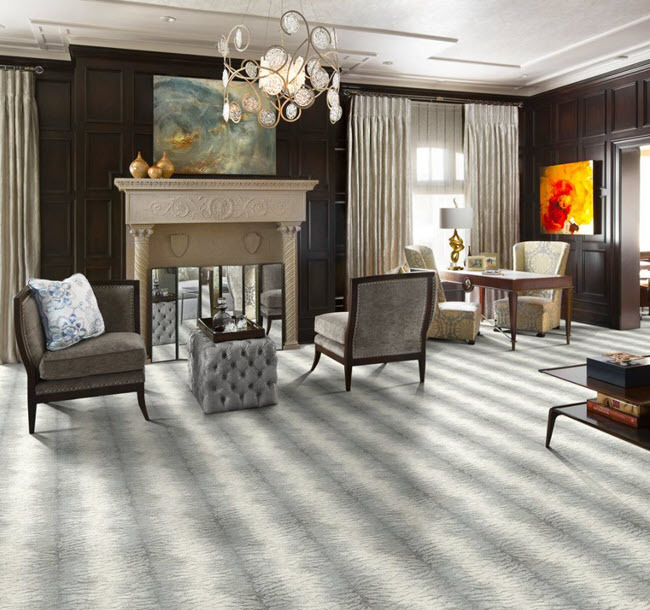 You'll love how stylish the Atelier Magnifique carpet collection from Stanton looks! It redefines what carpet is about. This collection is made of 100% Solution Dyed Nylon Type 6. Nylon fiber is particularly durable. In fact, it's considered the most durable of all types of synthetic fiber. Furthermore, it has inherent anti-microbial properties, and is resistant to moisture and bacterial growth. The process of solution-dying nylon infuses the carpet yarn with color pigment during the manufacturing process, creating superior colorfastness characteristics and color retention. The different Atelier Magnifique carpet styles have been woven in a Wilton Face to Face construction. "A traditional wilton weave carpet is one in which the pile threads run continuously into the carpet and are raised above the surface of the integral backing by means of wires or hooks." This construction makes for added dimension and texture which is why the patterns are so magnificent! These carpets are 13'2" in width. The pattern repeat is 31-1/2" wide by 26-1/2" long. The images below will give you a better sense for the richness of the pattern, the freshness of the looks and the overall stylishness of the collection. 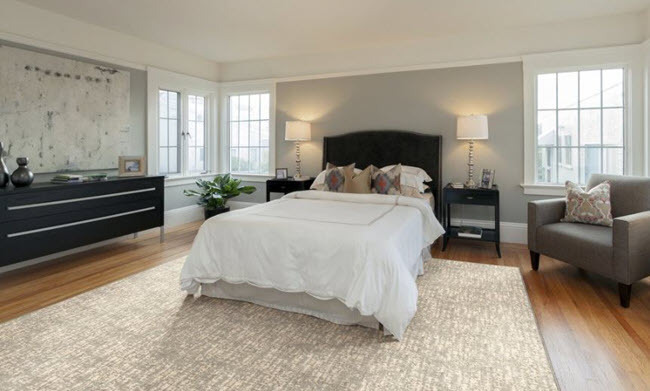 The image above features Louvre in color Antique in a custom area rug. In the image above, you see Blue Topaz in a wall-to-wall installation. For a better perspective on the richness of the patterns and the complexity of the colors, check out the closeup image below. 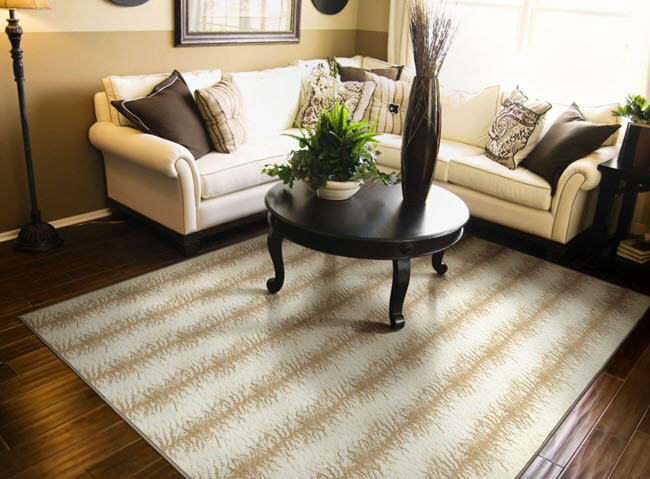 In the image above, you see color Antique in a custom rug and you get a feel for the alternating linear pattern. As with Luxembourg, you get a feel for the richness of the colors and pattern in this close up below. In the image above. you see Vilette in color Platinum in a wall-to-wall carpet installation. Notice how textural the color looks. You can see color Sienna in the carpet image below. Create a Magnifique Custom Rug! 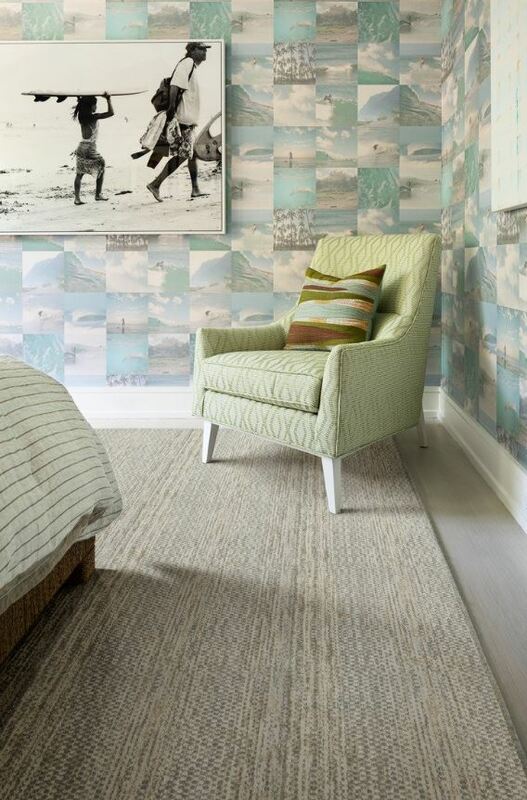 If wall-to-wall carpet isn't your thing, don't worry! Consider a custom area rug instead. Stanton offers a variety of finishes for custom rugs including machine serging, patterned fabrics, wide cotton, linen, and faux leather. The finished options are easy and range from modern edge (discreet and low-profile with a refined look) and machine serged (a substantial and prominent finished edge) to hidden stitch with a mitered corner and top stitch with a folded corner. For the ultimate stylish design experience, consider using Atelier Magnifique both as a wall-to-wall carpet and a custom area rug. You might do your stairs in wall-to-wall and have a coordinating (or matching) custom area rug in the adjoining space. As with any flooring investment, you'll want to care for your Magnifique carpet so it retains its beauty for years to come. Here are some tips. Vacuum regularly. Don't let anyone tell you that vacuuming will hurt your carpet or rug. The more you vacuum, the better. Professionally clean annually. Do not apply stain repellent treatments that contain silicone because they tend to accelerate carpet soiling. Use doormats and keep them clean. Exercise preventative maintenance by placing absorbent mats at the most frequently used entrances to your home. Change or launder when these mats become soiled. You'll find more advice and guidance in this article: Top Flooring Maintenance Tips for Carpet and Hardwood. READY TO Experience Truly Stylish Carpet? Check OUT STanton Atelier Magnifique AT FLOOR DECOR DESIGN CENTER! 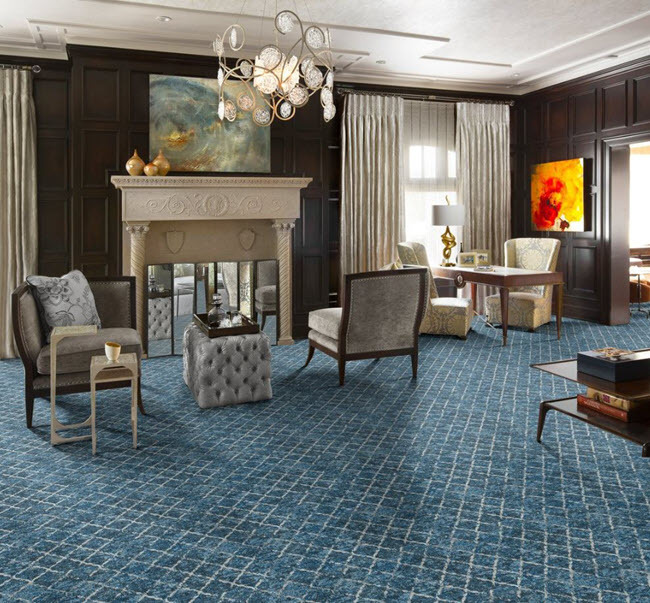 When you visit one of our two showroom locations in Middletown or Orange, you'll be able to learn more about the Atelier Magnifique carpet collection. Let me know of any questions in the comments or contact us.